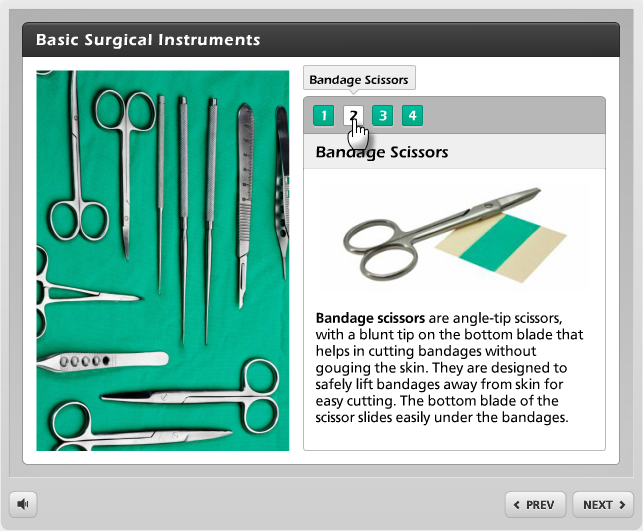 Preview: Located at the top of the middle section, this panel is used to preview the layout of your interaction. 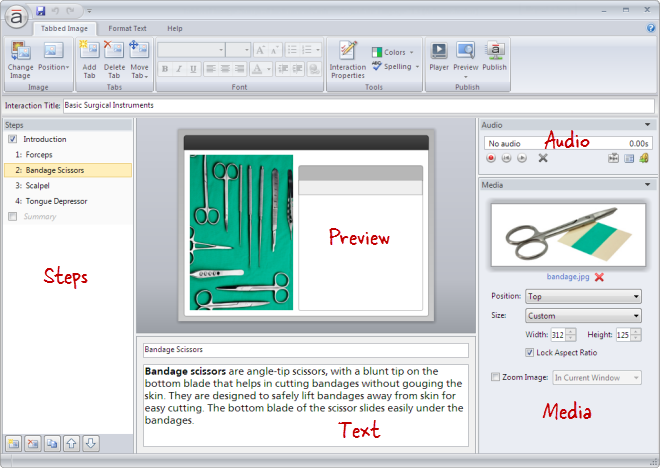 Text: Located at the bottom of the middle section, this panel is used to add text to each tab. 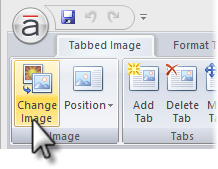 Go to the Tabbed Image tab on the ribbon, and click Change Image. 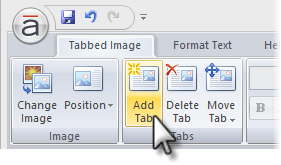 Go to the Tabbed Image tab on the ribbon, and click Position. Go to the Tabbed Image tab on the ribbon, and click Add Tab. Drag them to a new location. An orange line will move with your mouse to indicate where the tabs will be when your mouse is released. 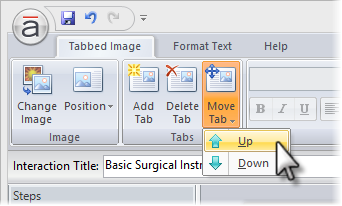 Go to the Tabbed Image tab on the ribbon, click Move Tab, and select either Up or Down. 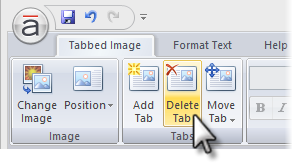 Go to the Tabbed Image tab on the ribbon, and click Delete Tab. 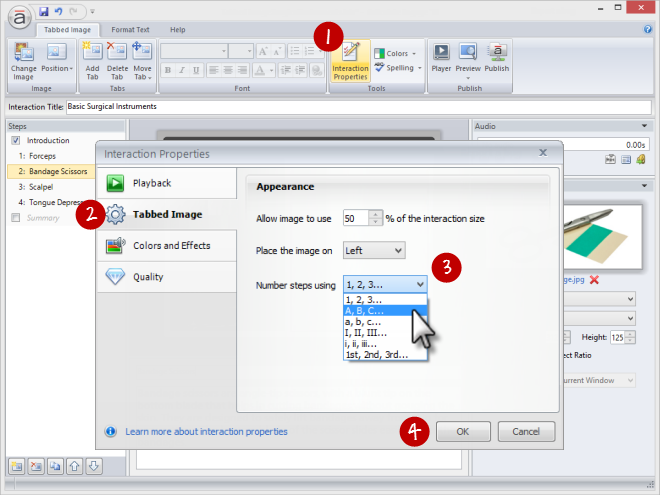 Go to the Tabbed Image tab on the ribbon, and click Interaction Properties. 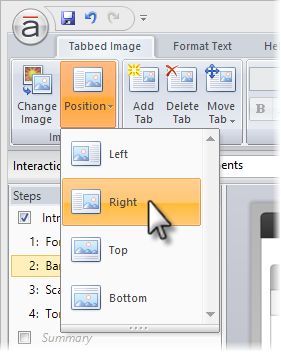 Select the Tabbed Image tab on the left side of the window. 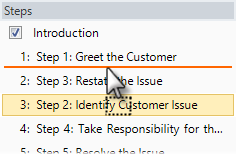 Choose a numbering style from the Number steps using drop-down.